Built to the highest standards, these lodges offer 5 star comfort and luxury over two stories. 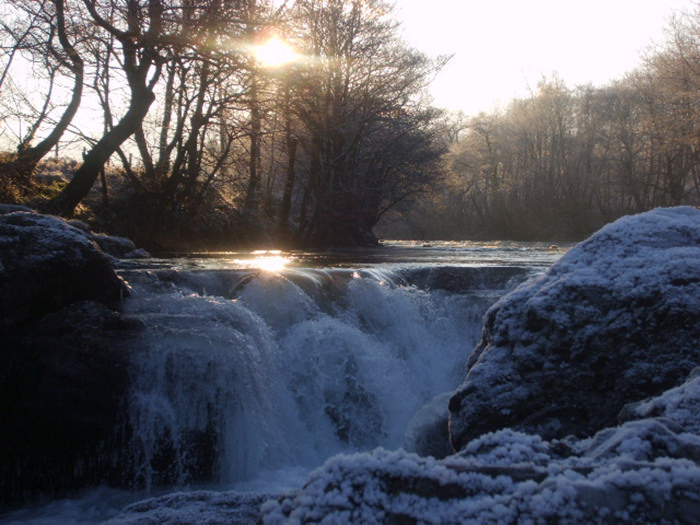 With two double and two twin rooms the lodges are perfect for larger families or groups. Kitchen – fitted with quality integrated appliances, combined washer/dryer, dishwasher, fridge/freezer, cooker and microwave, as well as a range of high quality utensils, cookware, crockery, glassware and cutlery. Generous grounds and private parking. Open-plan living/dining room with comfortable seating, a 42” Freesat TV, Blu-Ray player, radio/CD, remote control flame effect fire and an eight-seat dining table. Four generous bedrooms (two double and two twin) with large comfortable beds. Luxury family bathroom with jacuzzi bath (with shower over) WC and wash basin. Snug with TV and PlaySation 4 - perfect for kids. 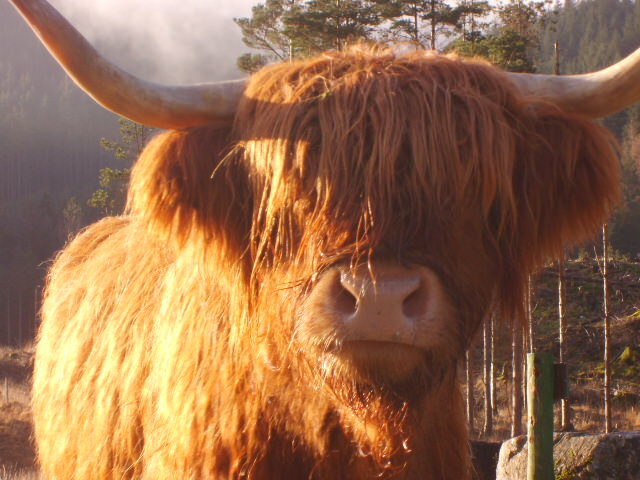 Please note that we are non smoking, and strictly no pets in our Luxury Lodges. 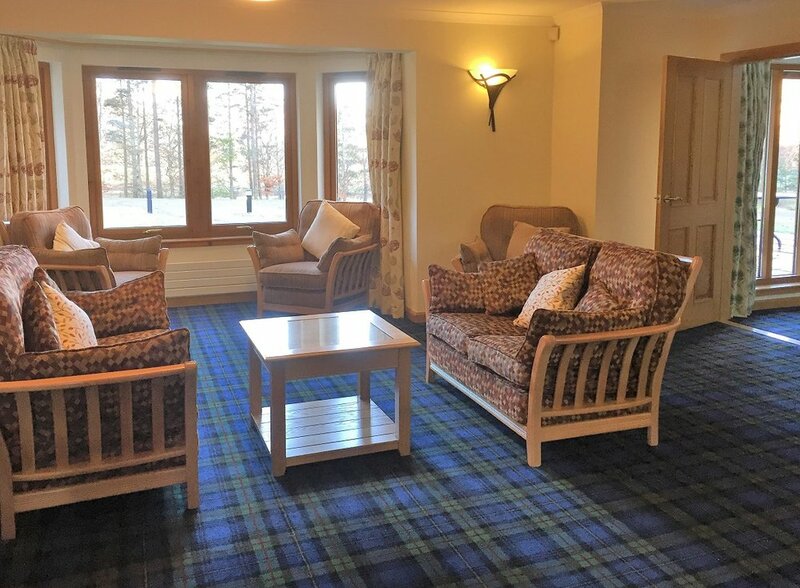 Open plan Lounge/Dining room, complete with plenty of comfortable seating, a 42” Freesat TV, BD/DVD player, radio/CD, remote control flame effect fire and an eight-seat dining table. Kitchen – fitted with quality integrated appliances, combined washer/dryer, dishwasher, fridge/freezer, cooker and microwave, as well as a range of good utensils, cookware, crockery, glassware and cutlery. Luxury bathroom with Jacuzzi bath (shower over). Master double bedroom with en-suite bathroom. Twin bedroom with en-suite shower-room. A snug seating area with TV, PlayStation 4 and books. 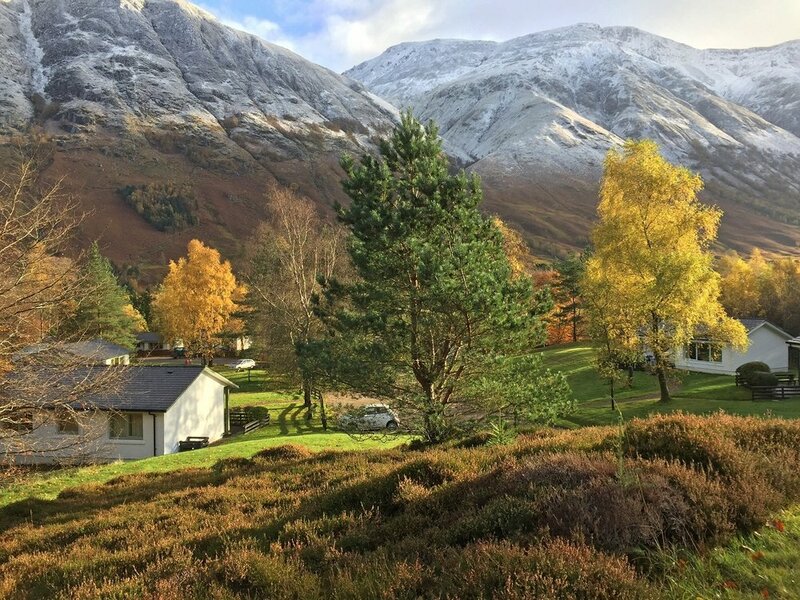 "...if there is a better place to stay for the views I could not find it in Fort William... 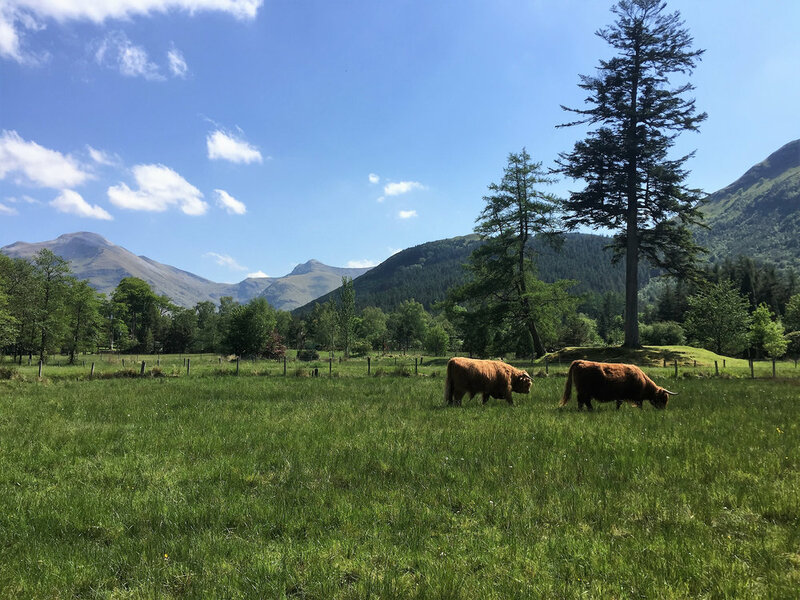 I cannot recommend the luxury lodges enough..."
"...This year we stayed in one of the Luxury Lodges with friends and we were overwhelmed by the quality throughout... We would highly recommend Glen Nevis..."
It is simply amazing! 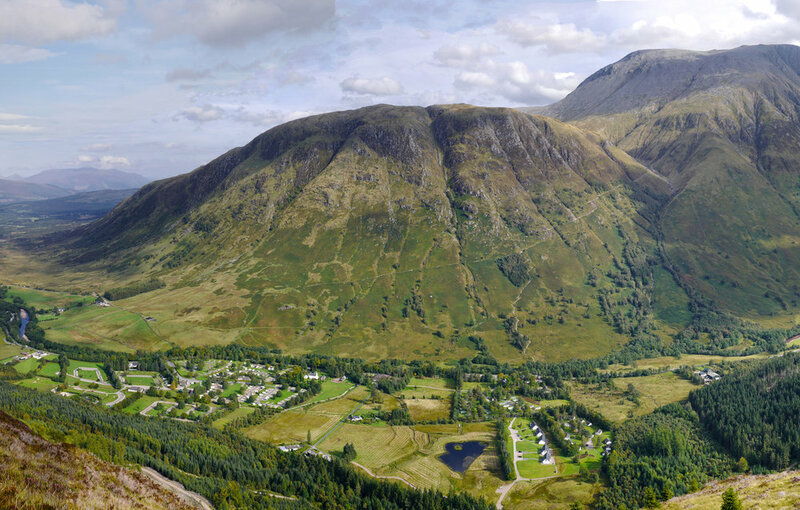 Nothing can beat the view of Ben Nevis in the morning! The 5 stars are well deserved...."
"Very well equipped. 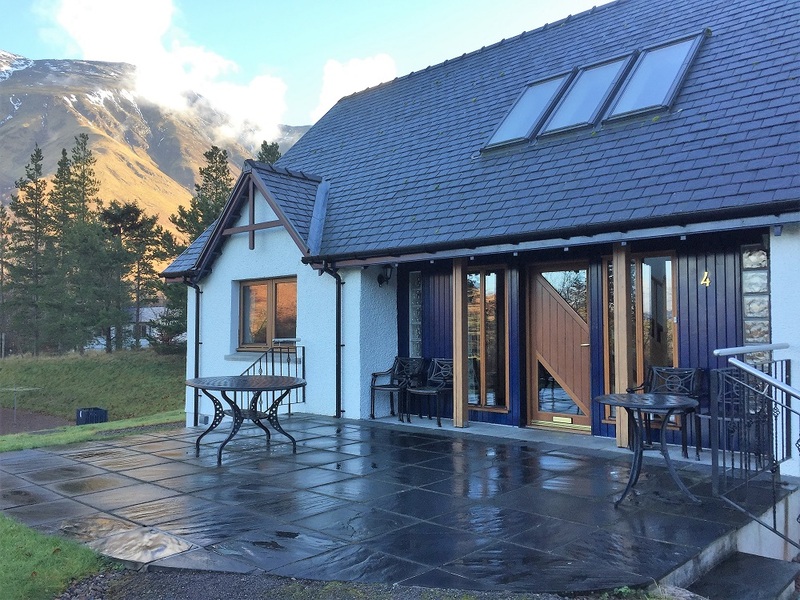 Very comfortable and kept spotlessly clean, Stunning views of Ben Nevis .Lovely walks..."